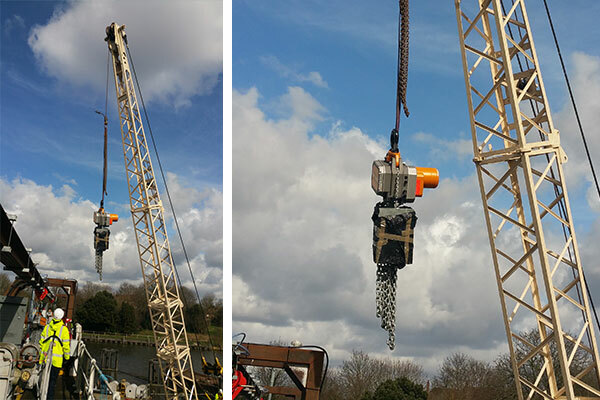 The hoist units are to be used to temporarily lift a pair of sluice gates weighing 12t each, which are part of the flood prevention defences on the outskirts of London. 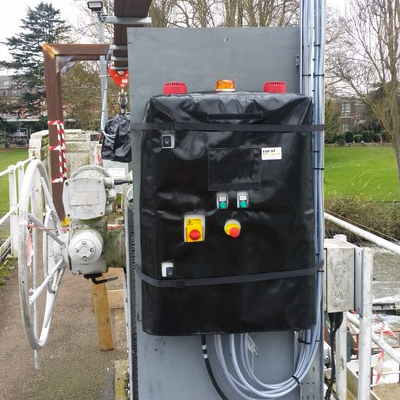 These allow the upstream river levels to be controlled at times of very high rainfall, and therefore the reliability of the equipment is of a very critical nature. 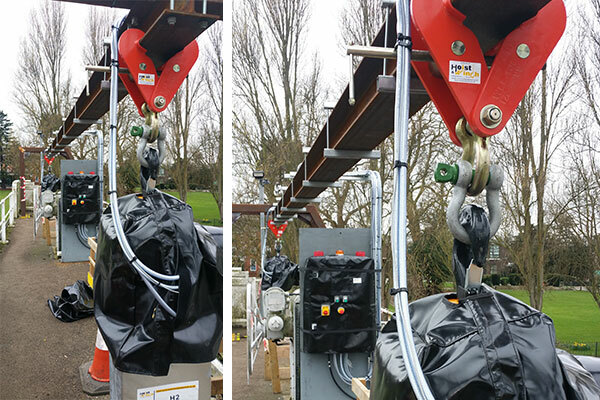 Working for a large engineering contractor who are refurbishing the permanent sluice gate lifting gear, these two sets of PLC controlled tandem lifting hoist unit systems were designed by Hoist & Winch to the customers precise requirements after a site meeting to initially view the application, and then over a period of approximately 10 weeks as the specification was developed and finally approved prior to manufacture. 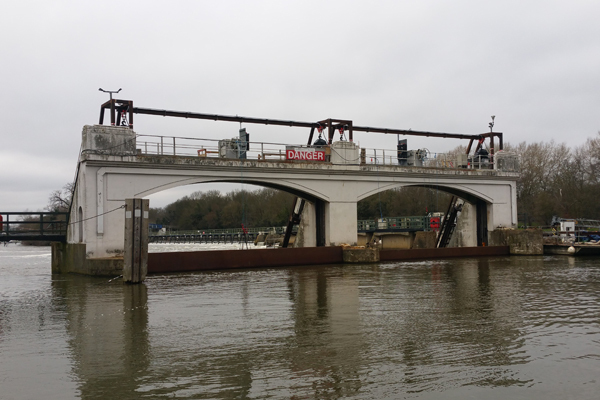 This specification approval process involving H & W customer, the Main Contractor & the Environment Agency. 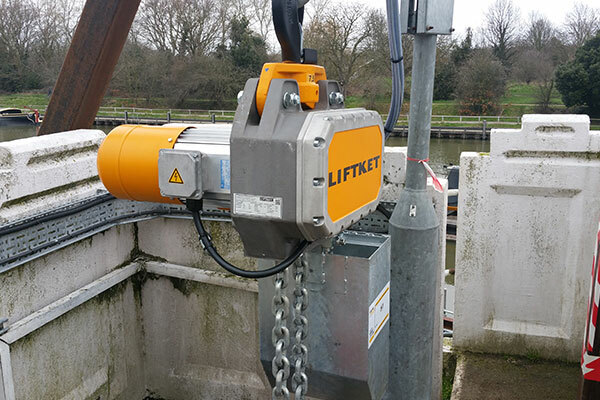 This was another very challenging design and installation project due to the critical nature of the application, exposed remote outdoor location, and other factors including all equipment having to be lifted into position from the river level onto the sluice gate hoist support structure using a supply boat and barge crane. The critical nature of the project resulted in very closely monitored working practices calling for very stringent planning of all work activities and therefore all on site work had to be very carefully documented with Risk Assessments and Method Statements which were reviewed and agreed by the project manager, site engineers & Health & Safety Department before all work commenced.